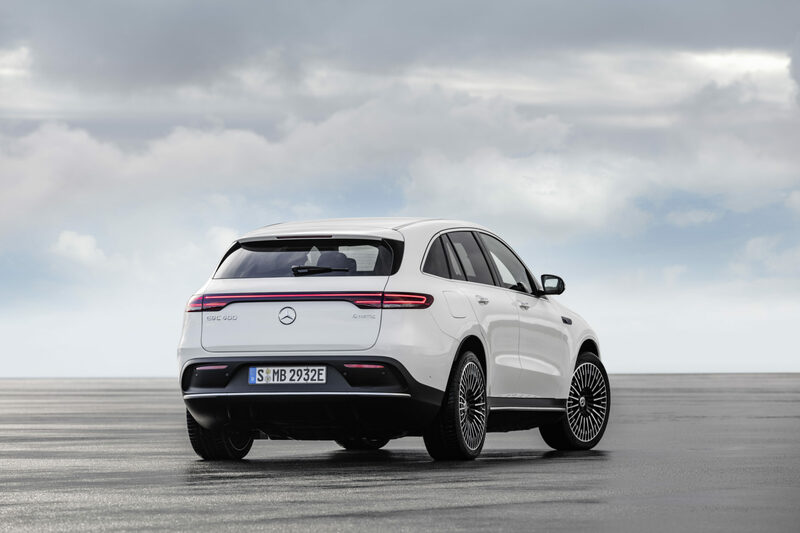 Move over Tesla and Jaguar, there’s a new all-electric SUV on the horizon with the Mercedes-Benz EQC. 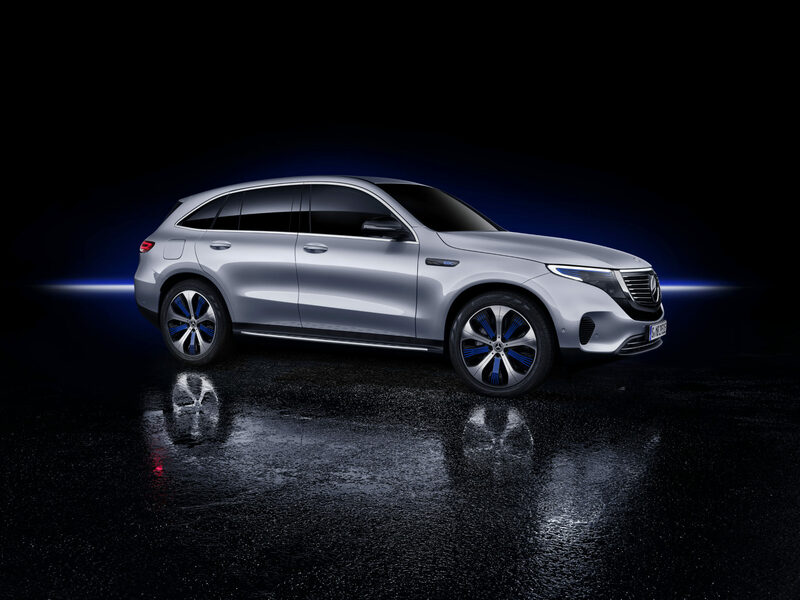 The sub-brand from Mercedes started nearly two years ago at the 2016 Paris Auto Show. 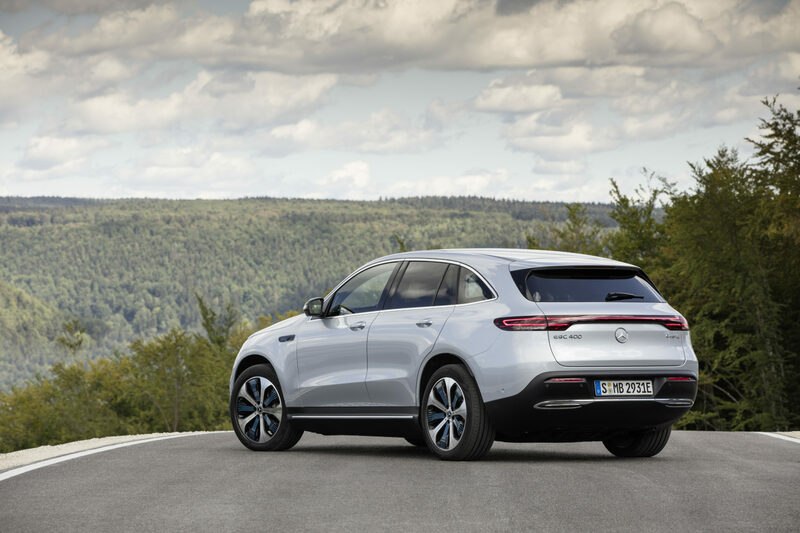 At that time the company took the wraps off the concept version of the EQC. 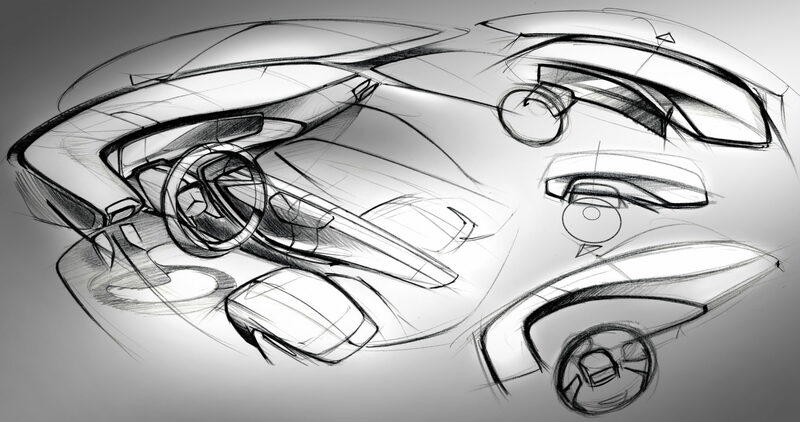 Fast-forward to today and the production model mirrors many of the elements of the concept. 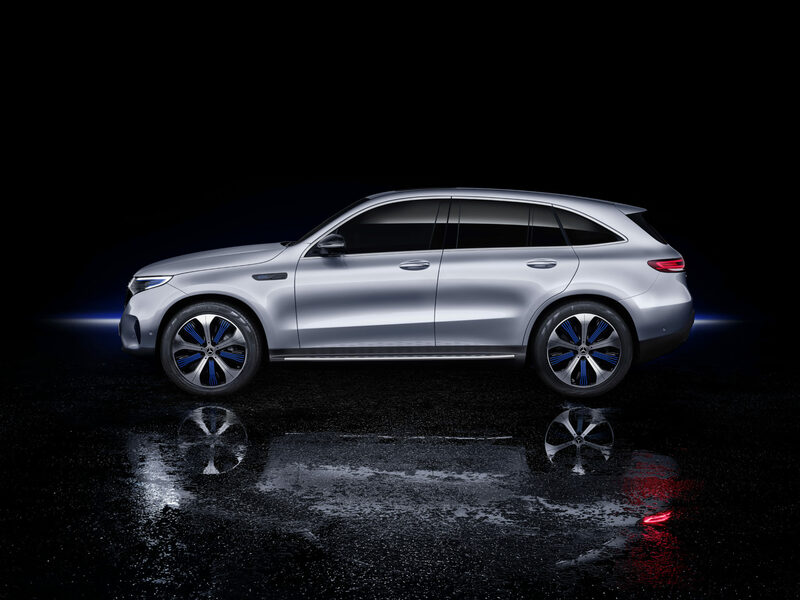 Upon first glance, you’ll notice a variant of Mercedes design language throughout the vehicle. Unfortunately, it doesn’t really work very well. 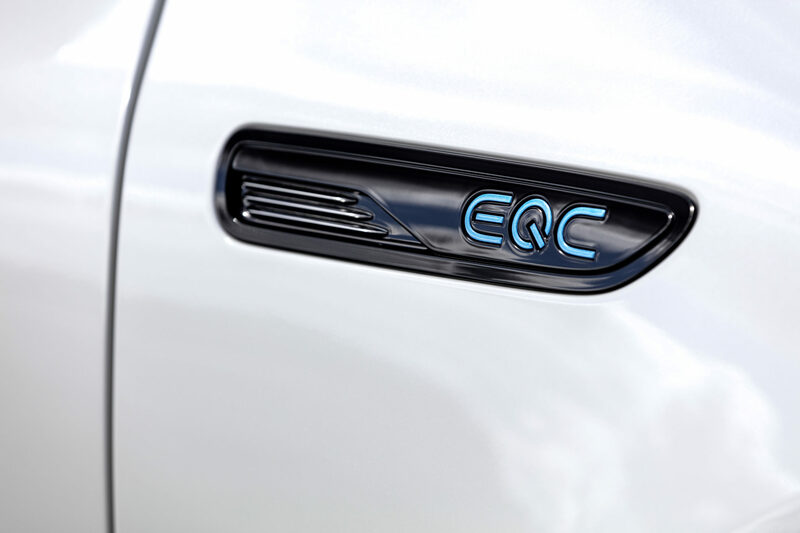 The EQC looks more like a Nissan Rogue or Honda CR-V than an upscale electric vehicle. 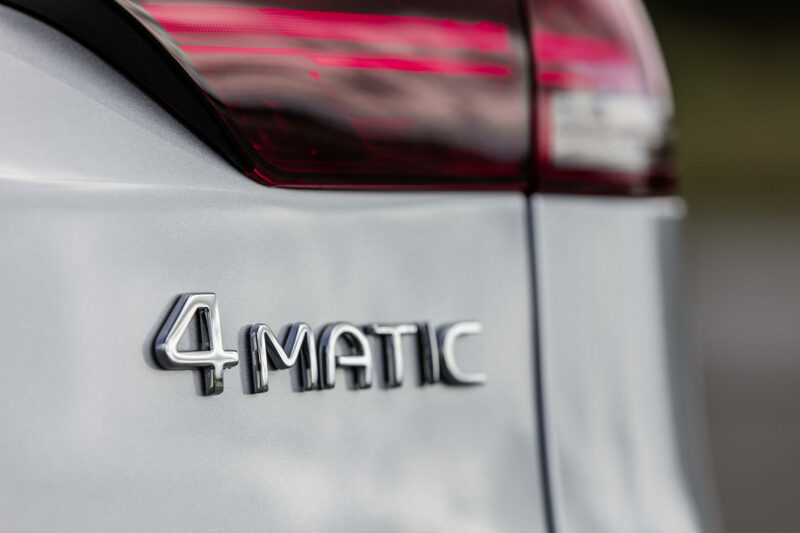 That aside, it looks to be a worthy competitor in the electric crossover market. 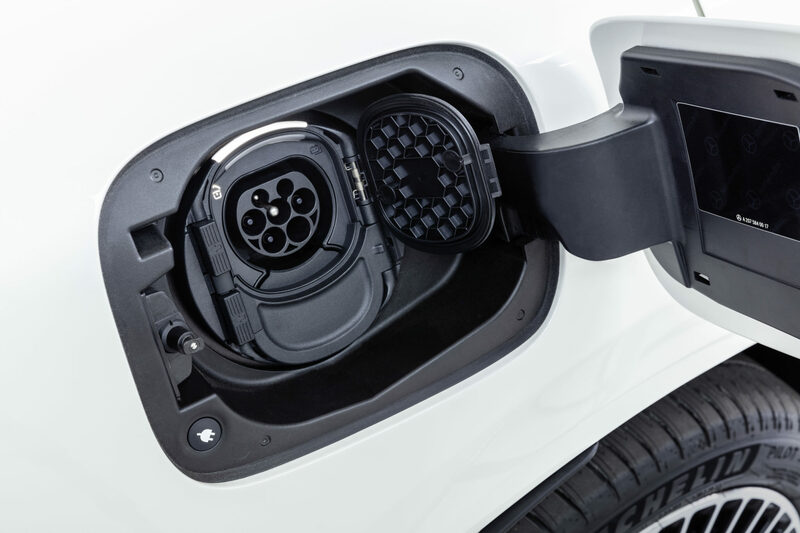 Powering the EQC is a pair of electric motors, each serving different purposes. The front motor is for efficiency and low to mid-range load. 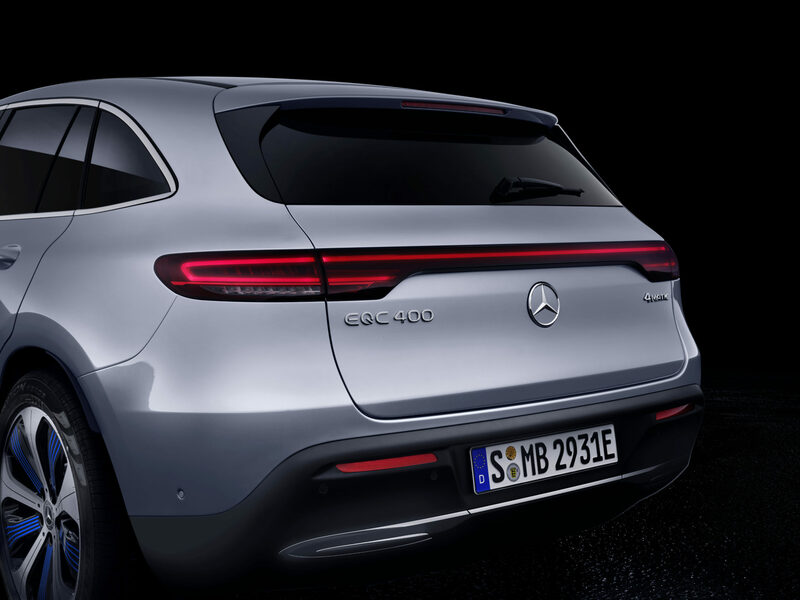 The rear is for when the driver wants to get sporty. 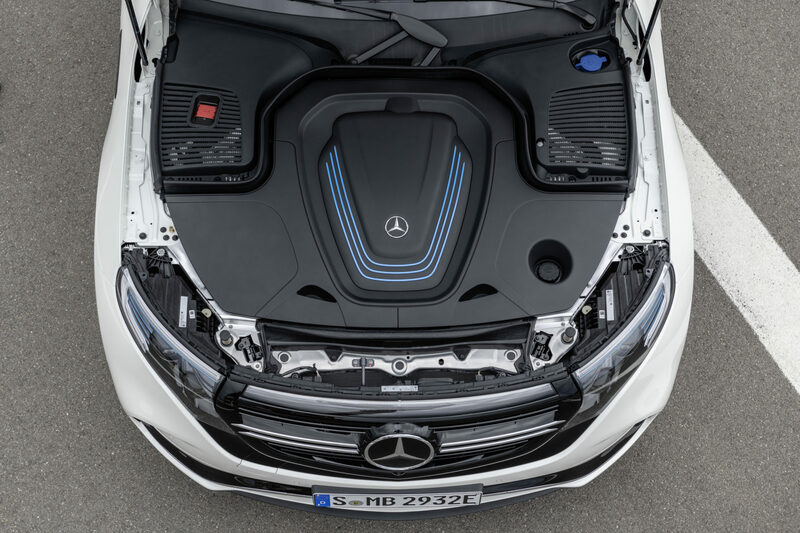 Together the pair of electric motors turns out 402 hp and 564 lb-ft of torque. This is down from the 518 hp found on the Tesla Model X 75D. However, it has a slight advantage over the 394 hp Jaguar I-PACE. 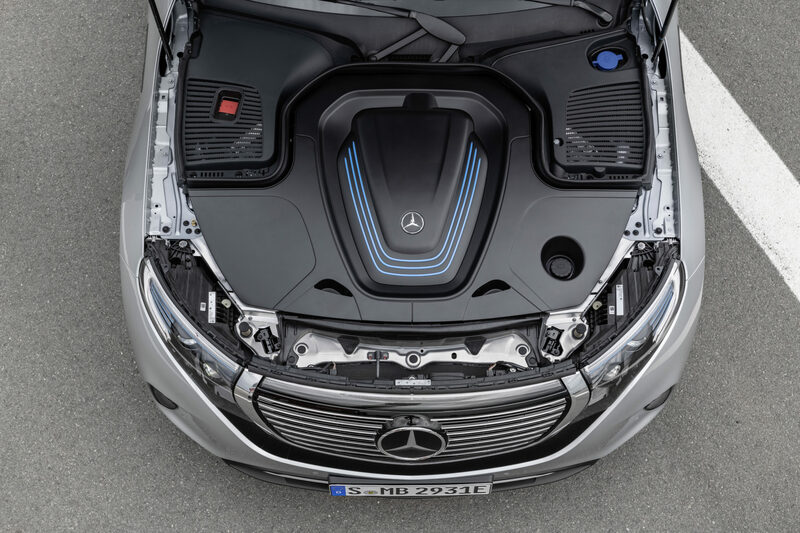 Altogether Mercedes claims a 0-60 time of about 4.9 seconds along with a 112 mph top speed. The most important figure of any electric vehicle is its range. At approximately 200 miles it comes up a little short among its rivals. The Model X checks in at 247 miles and the Jag at 240. However, we know in the real world these numbers can vary greatly. 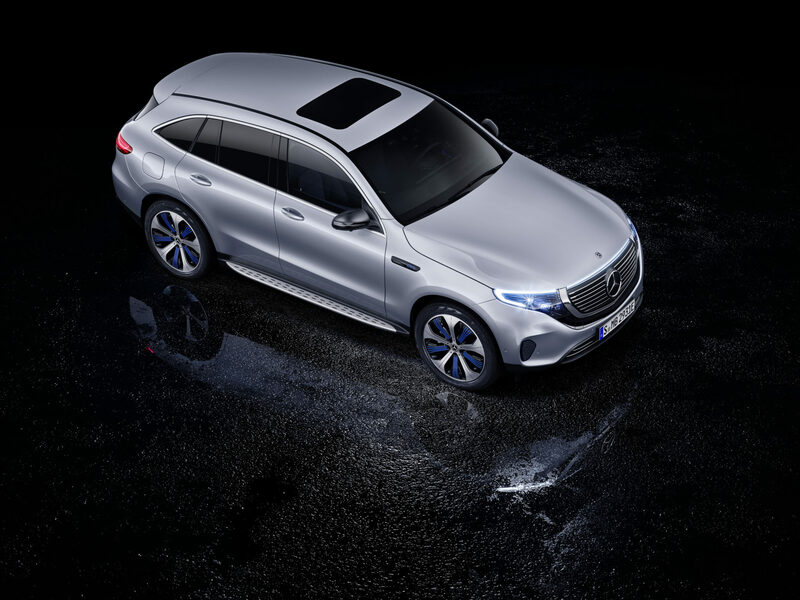 We are inclined to believe Mercedes on its range though. 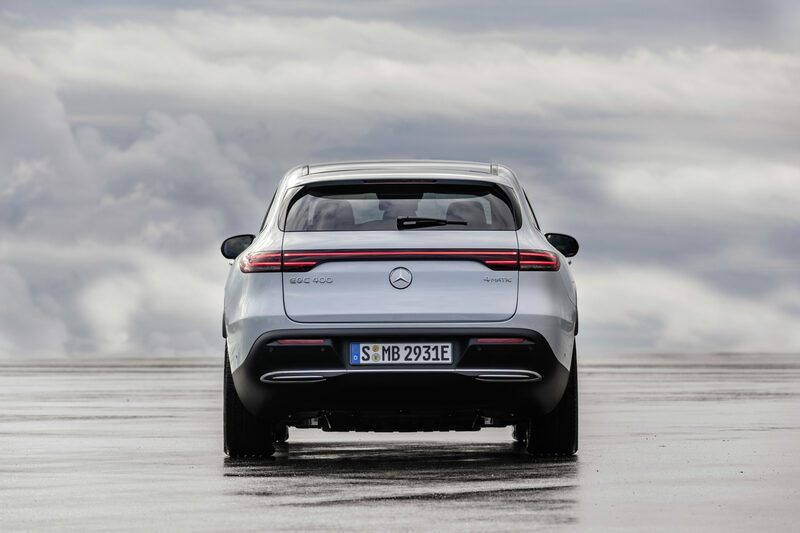 According to its test data, it took 200 prototypes and put them in various conditions across the globe, racking up several million test miles during the prototype runs. 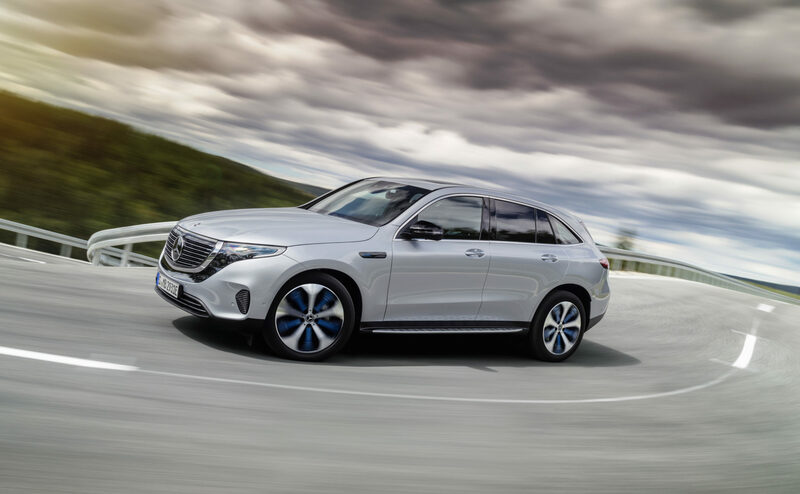 According to Mercedes, to get this range the EQC will use a 384 cell battery pack. This combines together for 350 V and 80 kWh. This is slightly more than that 75 kWh from the Model X but less than the 90 kWh from the I-PACE. One of the nice things about the battery pack is that it supports DC fast charging. This means you can take the level from about 10% to 80% in a matter of 40 minutes. You can still charge it at home with a standard charging port, too. 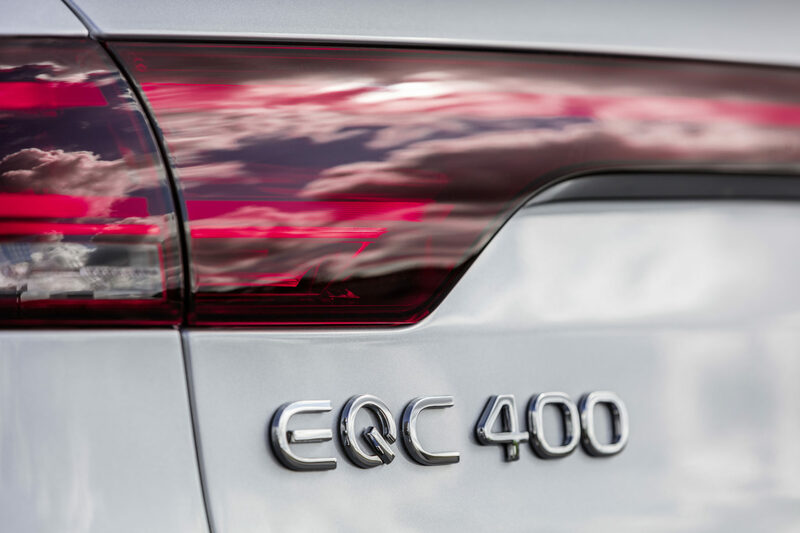 Currently, we only know about the EQC 400 model, which is shown in the images. 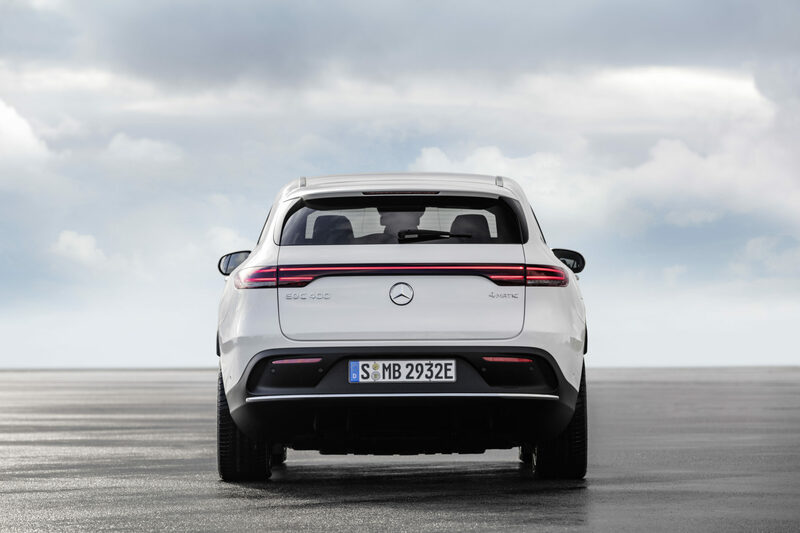 Presumably, Mercedes will offer several other trims and could add greater range or faster charging. 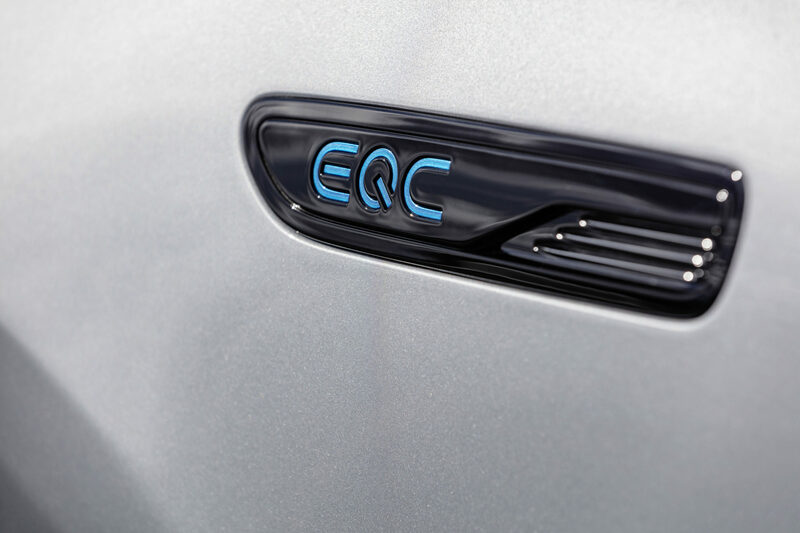 Production of the EQC will start sometime next year. 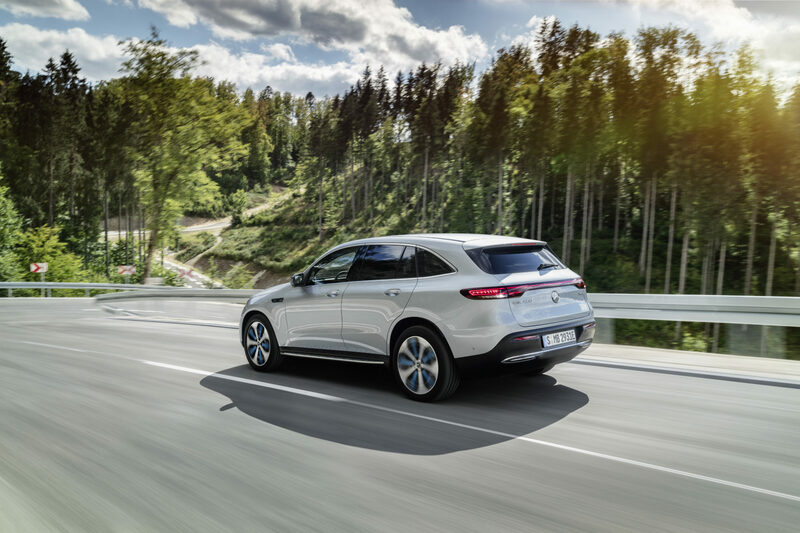 As for right now, we don’t have a price, but we expect it to fall somewhere around $70,000 to compete with the I-PACE. The EQC will also see some stiff competition in the near future. 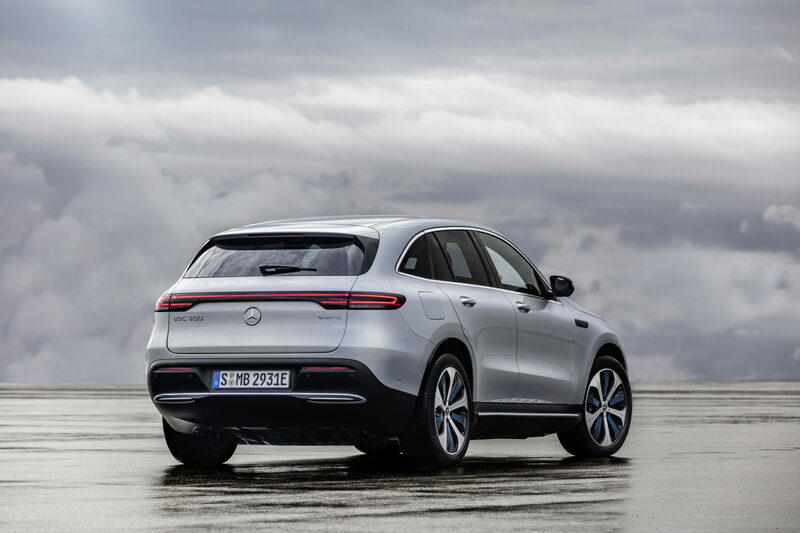 Both the Audi E-Tron and BMW iX3 are on the horizon. We will be very curious to see which manufacturer comes out on in what’s shaping up to be an interesting electric crossover race. 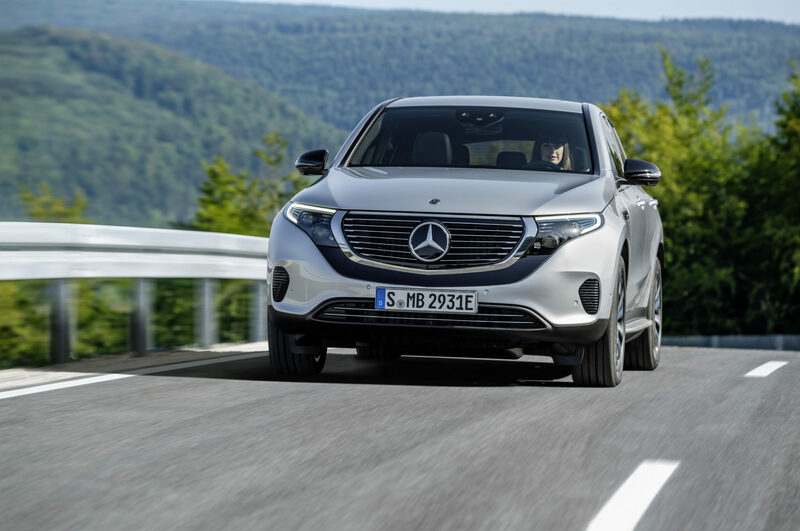 Mercedes-Benz EQC 400 4MATIC, (BR N293) / Hightechsilber / Interior: Electric Art / Der neue Mercedes-Benz EQC – der erste Mercedes-Benz der Produkt- und Technologiemarke EQ. Mit seinem nahtlosen klaren Design ist der EQC ein Vorreiter einer avantgardistischen Elektro-Ästhetik mit wegweisenden Designdetails und markentypischen Farbakzenten außen wie innen. 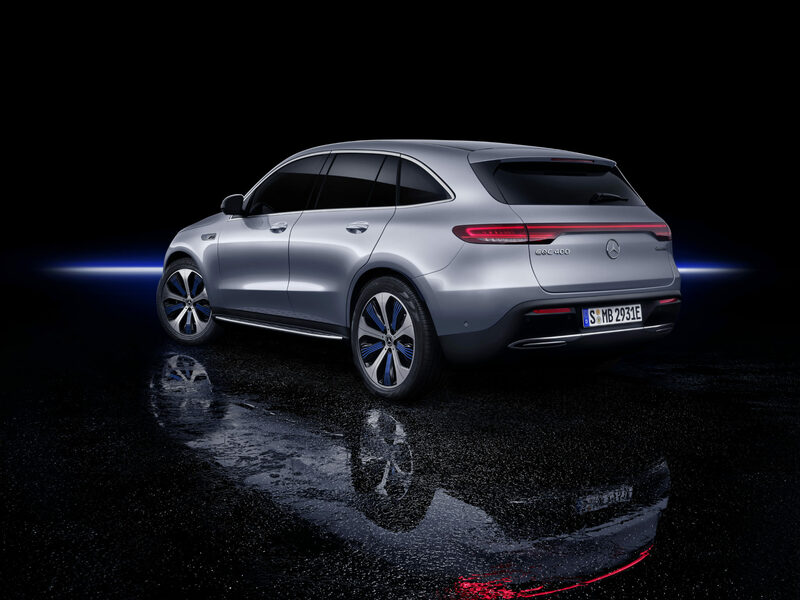 // Mercedes-Benz EQC 400 4MATIC, (BR N293) / hightech silver / Interior: Electric Art / The new Mercedes-Benz EQC – the first Mercedes-Benz under the product and technology brand EQ. With its seamless, clear design, the EQC is a pioneer for an avant-garde electric look with trailblazing design details and colour highlights typical of the brand both inside and out. 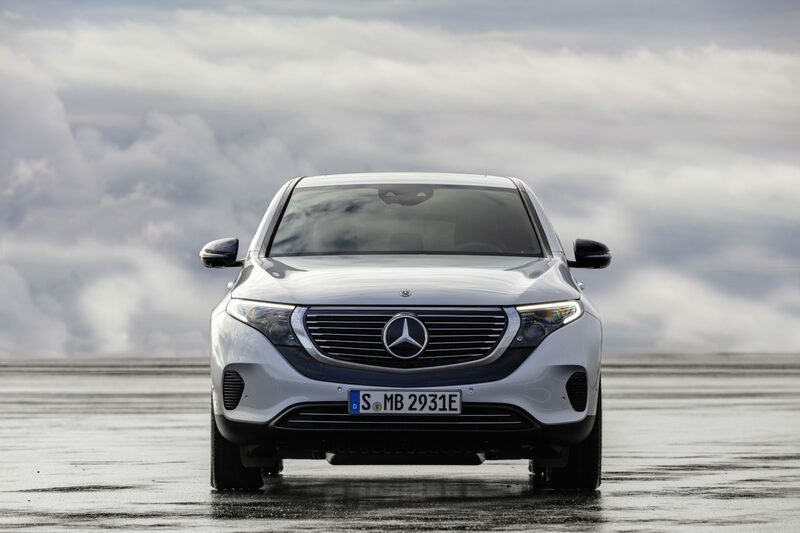 Mercedes-Benz EQC 400 4MATIC, (BR N293) / Hightechsilber / Interior: Electric Art / Der neue Mercedes-Benz EQC – der erste Mercedes-Benz der Produkt- und Technologiemarke EQ. Mit seinem nahtlosen klaren Design ist der EQC ein Vorreiter einer avantgardistischen Elektro-Ästhetik mit wegweisenden Designdetails und markentypischen Farbakzenten außen wie innen. / In Europa gibt es weit über 200 verschiedene Betreiber von Ladestationen an öffentlichen Plätzen. 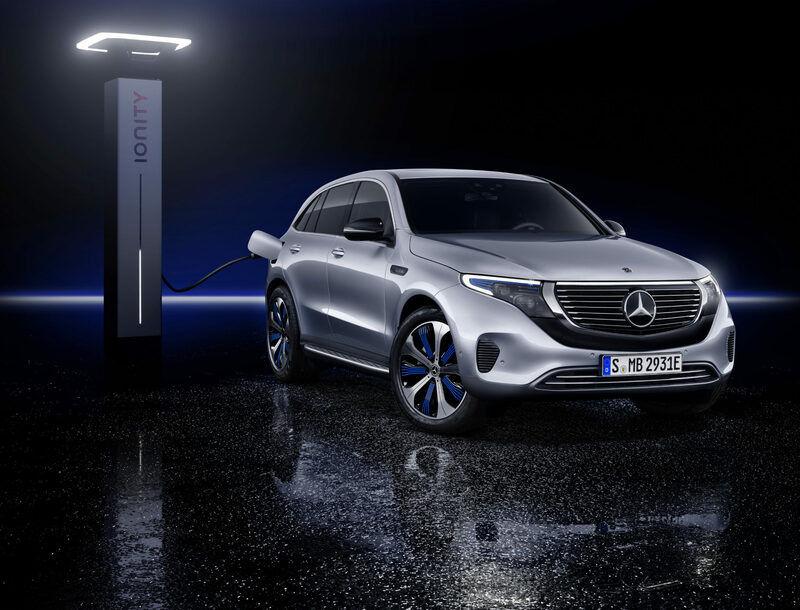 Mercedes me Charge ermöglicht auch den Zugang zu den Schnellladestationen des paneuropäischen Schnellladenetzes von IONITY. Die kurzen Ladezeiten sorgen insbesondere bei Langstrecken für eine angenehme Reise. 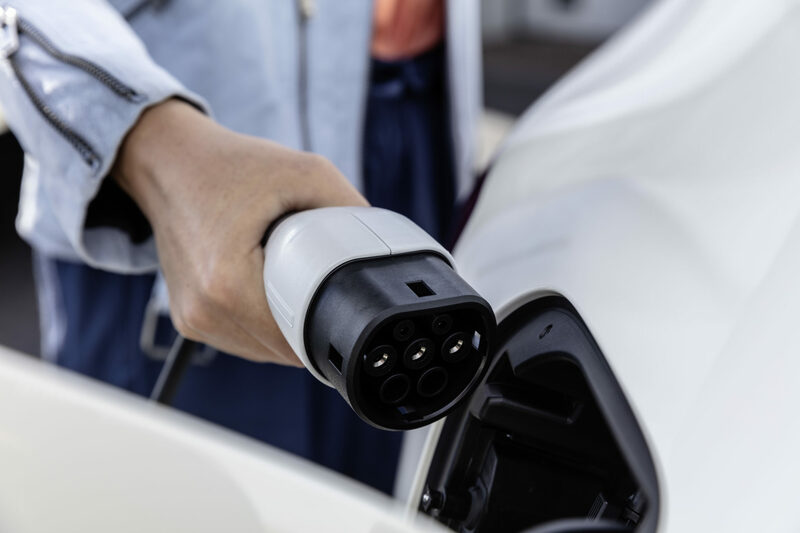 Entlang der Hauptverkehrsachsen in Europa wird IONITY bis 2020 insgesamt rund 400 Schnellladestationen errichten und betreiben. 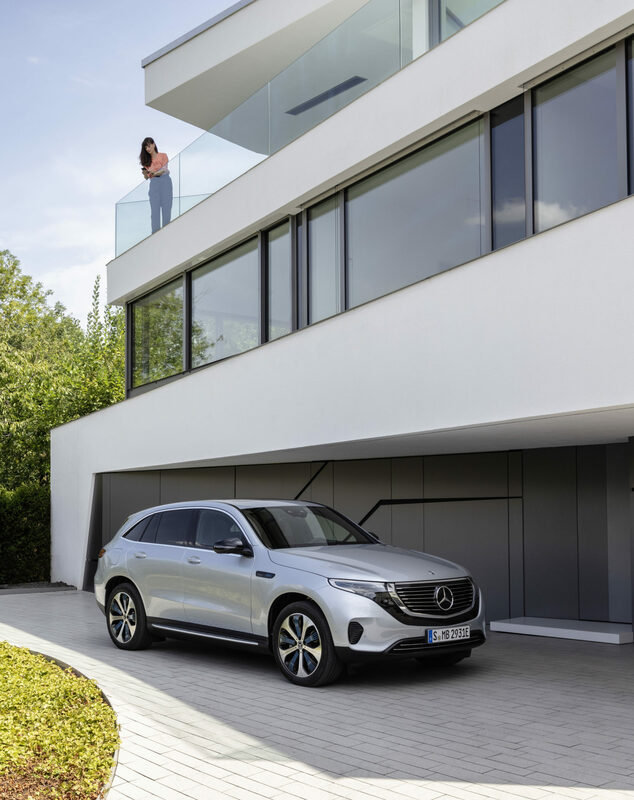 // Mercedes-Benz EQC 400 4MATIC, (BR N293) / hightech silver / Interior: Electric Art / The new Mercedes-Benz EQC – the first Mercedes-Benz under the product and technology brand EQ. 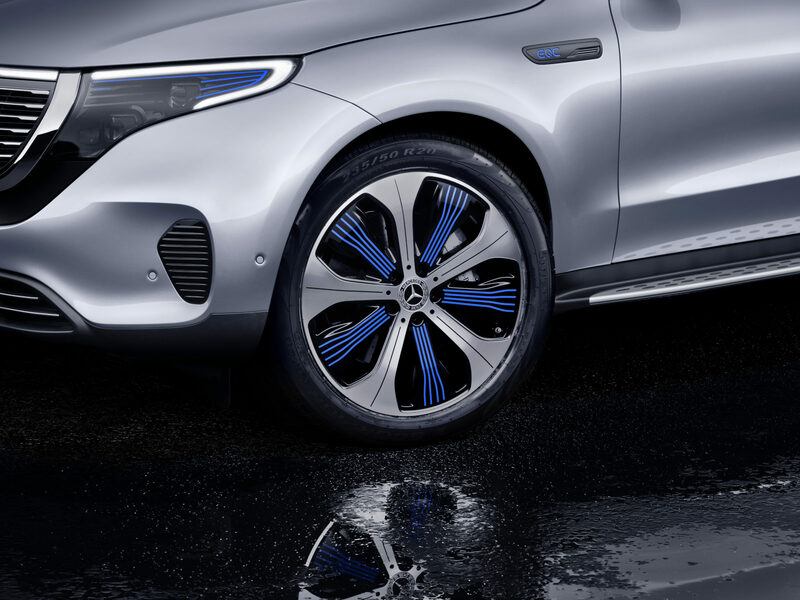 With its seamless, clear design, the EQC is a pioneer for an avant-garde electric look with trailblazing design details and colour highlights typical of the brand both inside and out. / There are well over 200 operators of charging stations in public places in Europe. 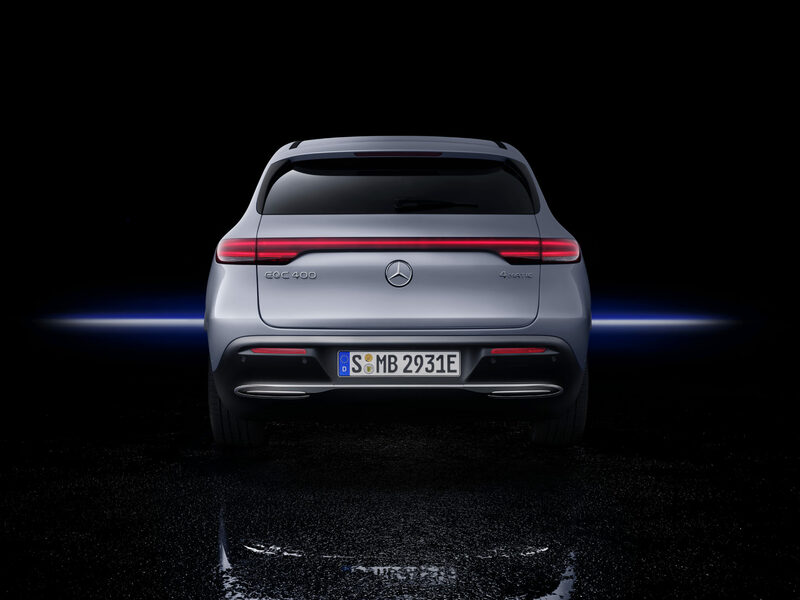 Mercedes me Charge also allows access to the quick-charging stations of the pan-European network IONITY. Especially over long distances, the short charging times make for a pleasant journey. 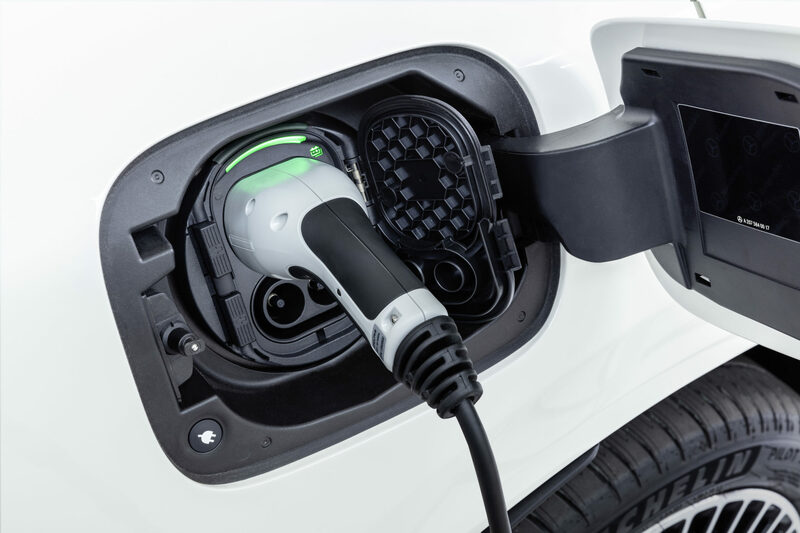 By 2020 IONITY will construct and operate around 400 quick stations along the main traffic arteries in Europe. 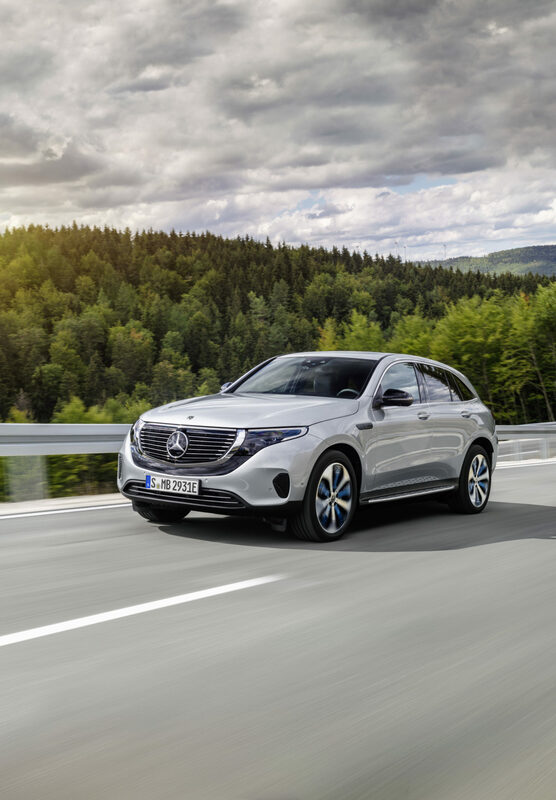 Mercedes-Benz EQC 400 4MATIC, (BR N293) / Hightechsilber / Interior: Electric Art / Der neue Mercedes-Benz EQC – der erste Mercedes-Benz der Produkt- und Technologiemarke EQ. Mit seinem nahtlosen klaren Design ist der EQC ein Vorreiter einer avantgardistischen Elektro-Ästhetik mit wegweisenden Designdetails und markentypischen Farbakzenten außen wie innen. 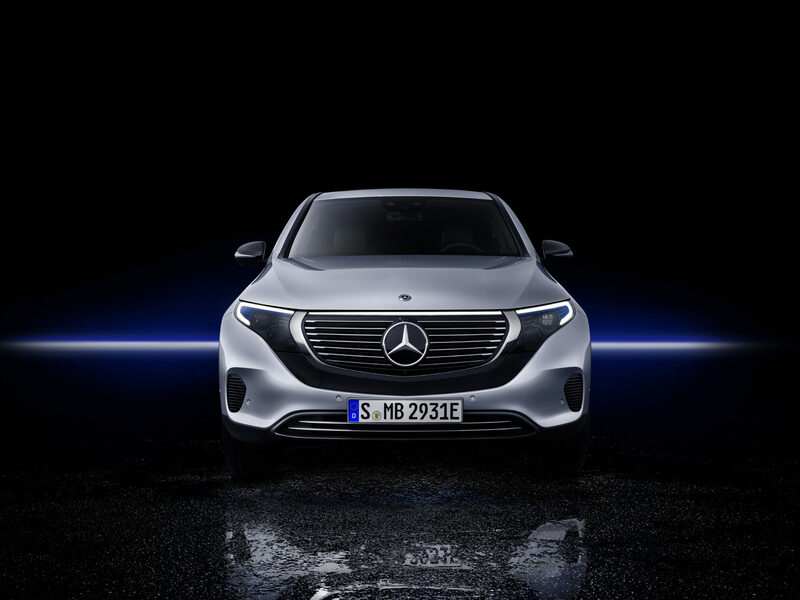 / Der EQC erhält das wegweisende Multimediasystem MBUX – Mercedes-Benz User Experience, ergänzt um zahlreiche EQ spezifische Inhalte wie beispielsweise die Anzeige von Reichweite, Ladezustand und Energiefluss. EQ optimierte Navigation, Fahrprogramme, Ladestrom und Abfahrtszeit lassen sich ebenfalls über MBUX bedienen und einstellen. 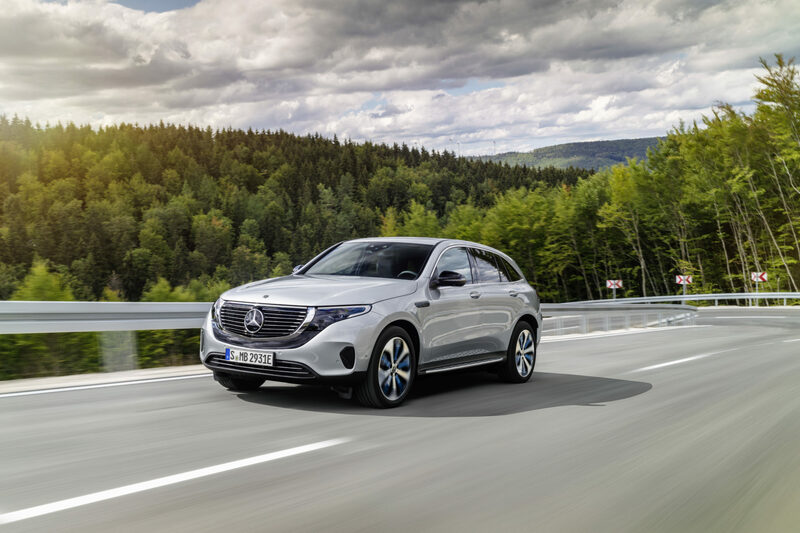 // Mercedes-Benz EQC 400 4MATIC, (BR N293) / hightech silver / Interior: Electric Art / The new Mercedes-Benz EQC – the first Mercedes-Benz under the product and technology brand EQ. With its seamless, clear design, the EQC is a pioneer for an avant-garde electric look with trailblazing design details and colour highlights typical of the brand both inside and out. 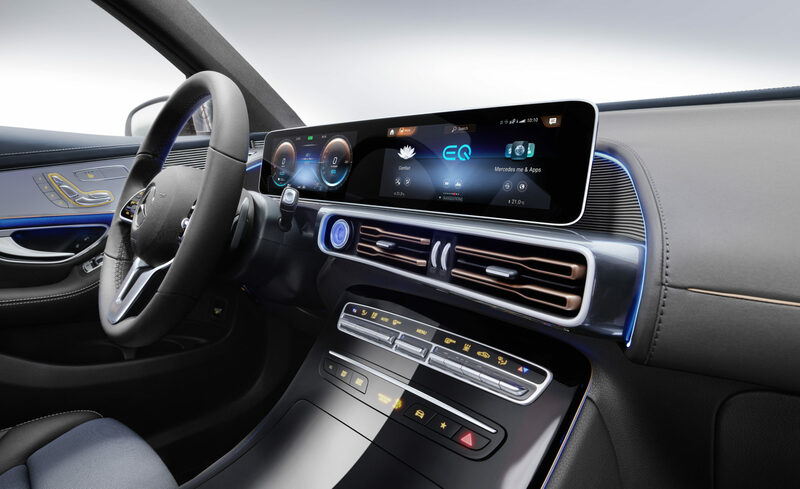 / The EQC features the innovative multimedia system MBUX – Mercedes-Benz User Experience – which has numerous EQ-specific functions such as the display of range, charge status and energy flow. 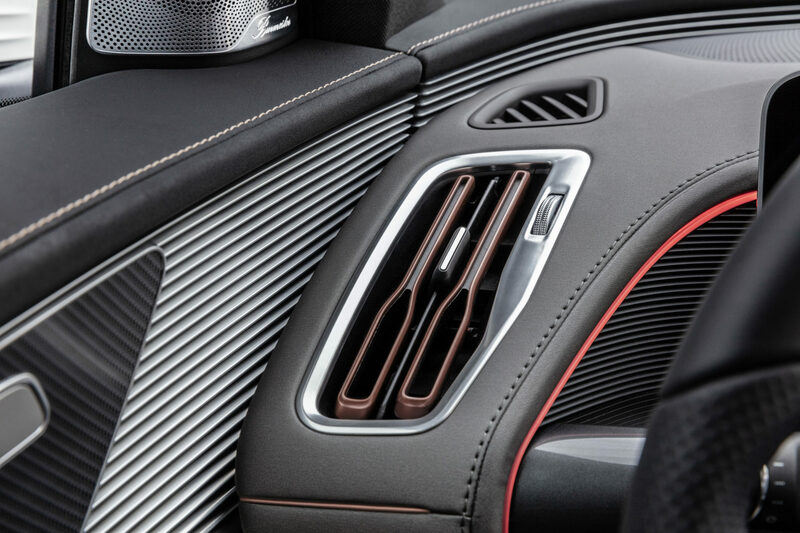 EQ-optimised navigation, driving modes, charging current and departure time can also be controlled and set via MBUX. 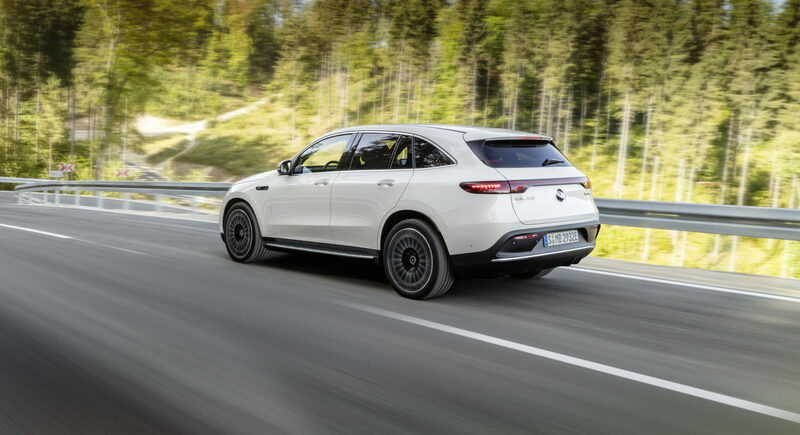 Mercedes-Benz EQC 400 4MATIC, (BR N293) / designo Diamantweiß bright / Exterior: AMG Line / Interior: AMG Line / Der neue Mercedes-Benz EQC – der erste Mercedes-Benz der Produkt- und Technologiemarke EQ. Mit seinem nahtlosen klaren Design ist der EQC ein Vorreiter einer avantgardistischen Elektro-Ästhetik mit wegweisenden Designdetails und markentypischen Farbakzenten außen wie innen. / In Europa gibt es weit über 200 verschiedene Betreiber von Ladestationen an öffentlichen Plätzen. 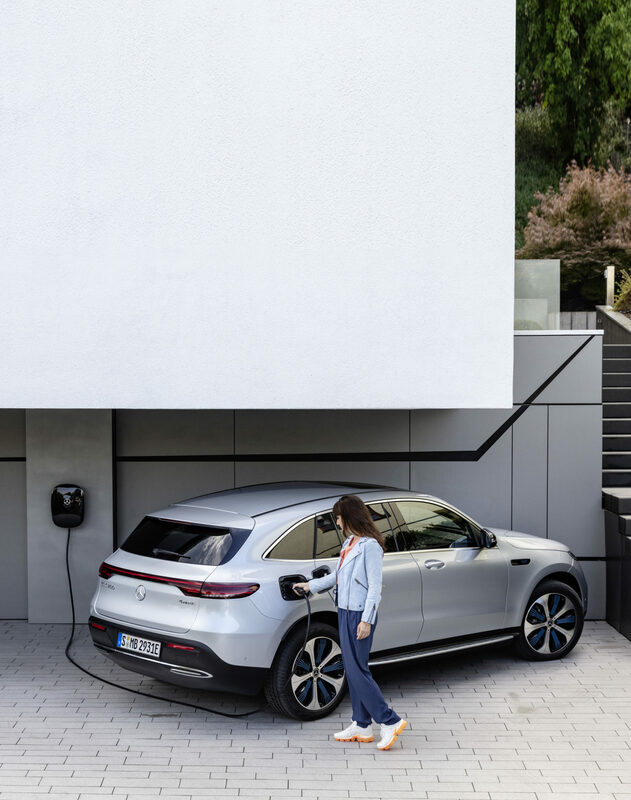 Mercedes me Charge ermöglicht auch den Zugang zu den Schnellladestationen des paneuropäischen Schnellladenetzes von IONITY. Die kurzen Ladezeiten sorgen insbesondere bei Langstrecken für eine angenehme Reise. 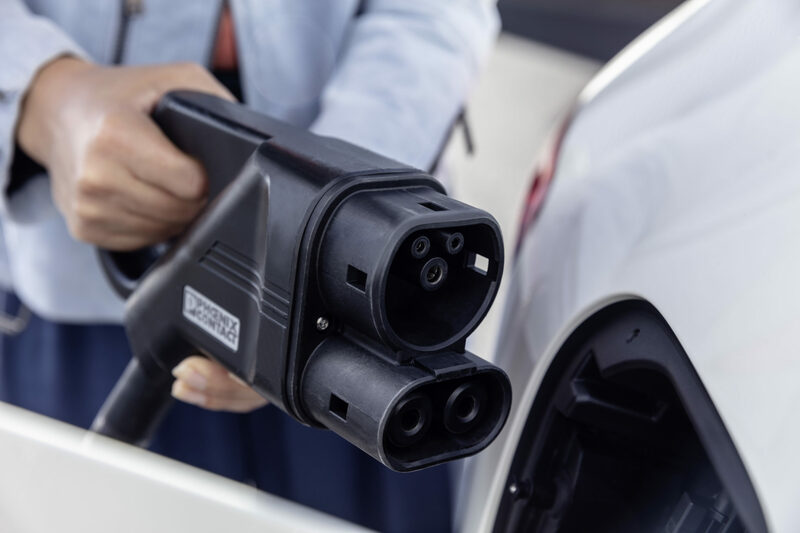 Entlang der Hauptverkehrsachsen in Europa wird IONITY bis 2020 insgesamt rund 400 Schnellladestationen errichten und betreiben. 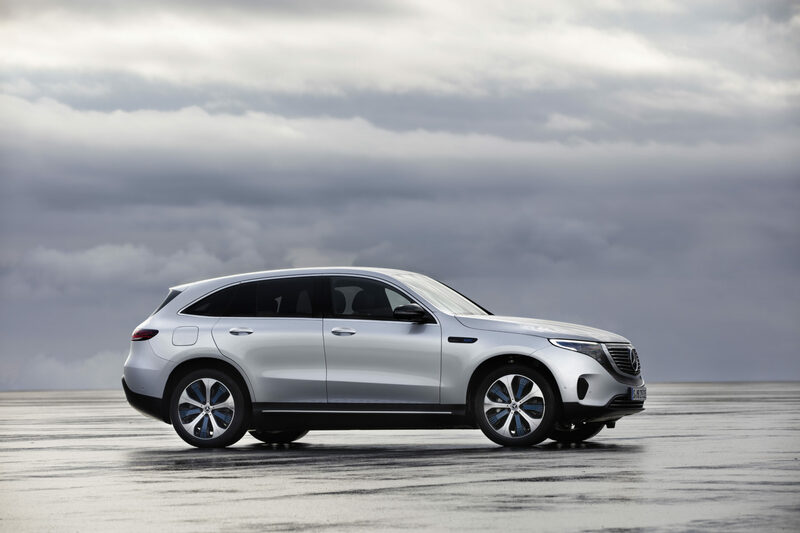 // Mercedes-Benz EQC 400 4MATIC, (BR N293) / designo diamond white bright / Exterior: AMG Line / Interior: AMG Line / The new Mercedes-Benz EQC – the first Mercedes-Benz under the product and technology brand EQ. With its seamless, clear design, the EQC is a pioneer for an avant-garde electric look with trailblazing design details and colour highlights typical of the brand both inside and out. / There are well over 200 operators of charging stations in public places in Europe. 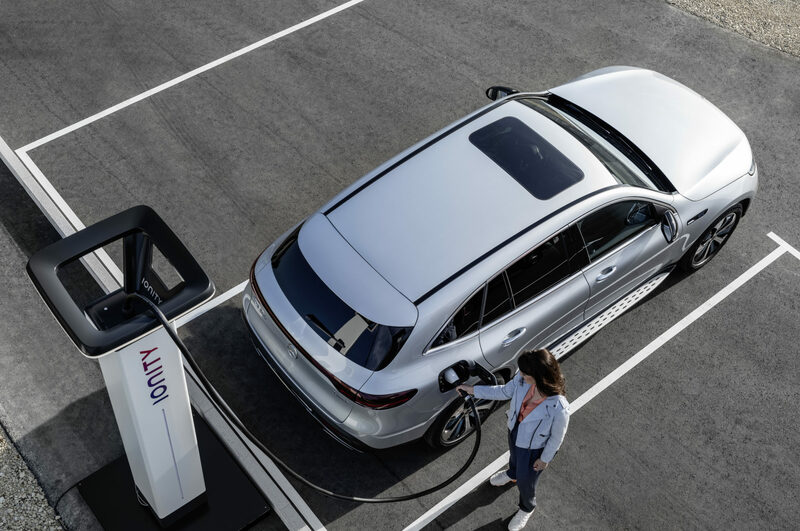 Mercedes me Charge also allows access to the quick-charging stations of the pan-European network IONITY. Especially over long distances, the short charging times make for a pleasant journey. 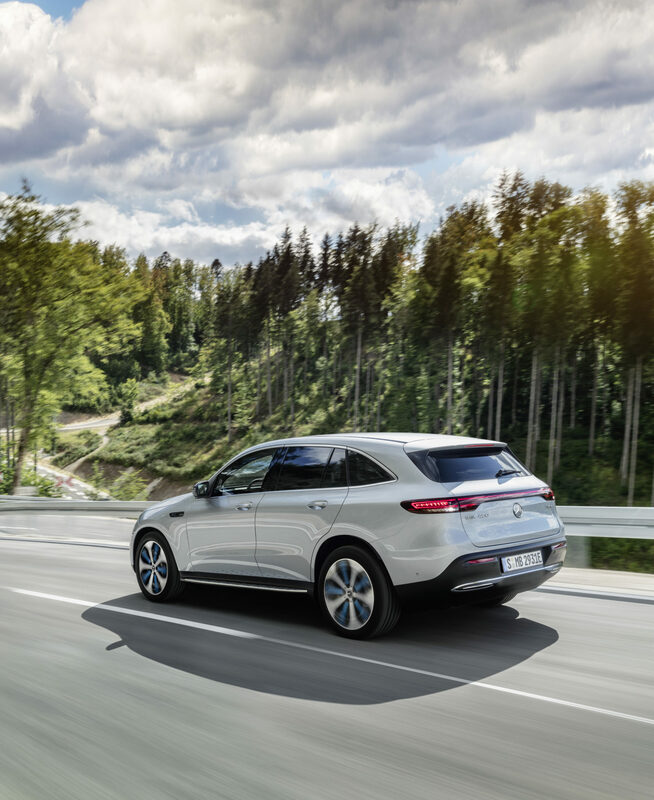 By 2020 IONITY will construct and operate around 400 quick stations along the main traffic arteries in Europe. 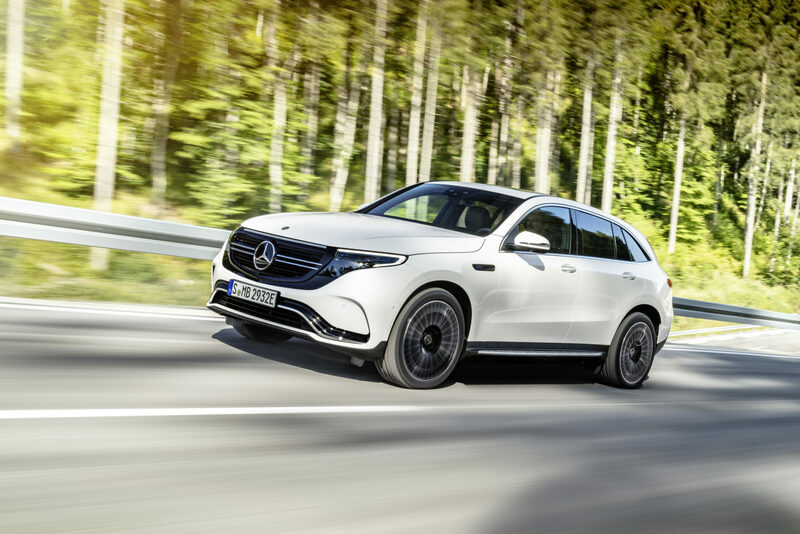 Mercedes-Benz EQC 400 4MATIC, (BR N293) / designo Diamantweiß bright / Exterior: AMG Line / Interior: AMG Line / Der neue Mercedes-Benz EQC – der erste Mercedes-Benz der Produkt- und Technologiemarke EQ. Mit seinem nahtlosen klaren Design ist der EQC ein Vorreiter einer avantgardistischen Elektro-Ästhetik mit wegweisenden Designdetails und markentypischen Farbakzenten außen wie innen. 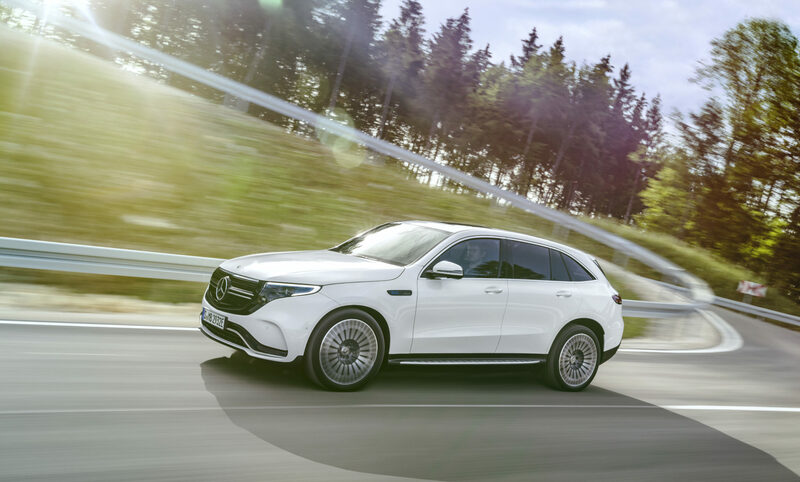 // Mercedes-Benz EQC 400 4MATIC, (BR N293) / designo diamond white bright / Exterior: AMG Line / Interior: AMG Line / The new Mercedes-Benz EQC – the first Mercedes-Benz under the product and technology brand EQ. With its seamless, clear design, the EQC is a pioneer for an avant-garde electric look with trailblazing design details and colour highlights typical of the brand both inside and out. 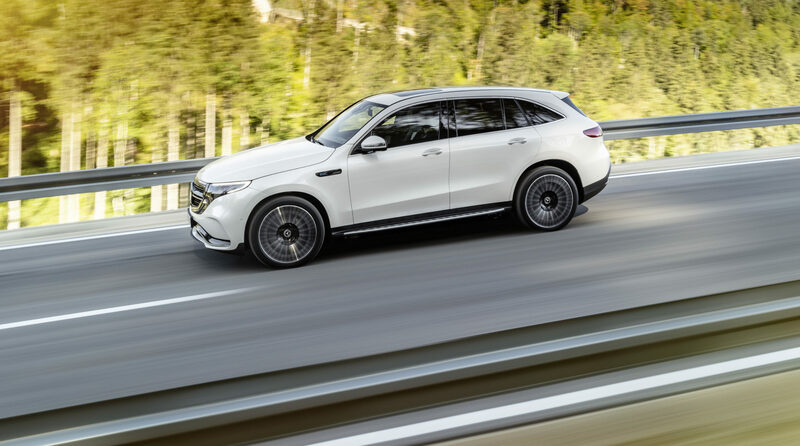 Mercedes-Benz EQC 400 4MATIC, (BR N293) / designo Diamantweiß bright / Exterior: AMG Line / Interior: AMG Line / Der neue Mercedes-Benz EQC – der erste Mercedes-Benz der Produkt- und Technologiemarke EQ. Mit seinem nahtlosen klaren Design ist der EQC ein Vorreiter einer avantgardistischen Elektro-Ästhetik mit wegweisenden Designdetails und markentypischen Farbakzenten außen wie innen. / Der EQC erhält das wegweisende Multimediasystem MBUX – Mercedes-Benz User Experience, ergänzt um zahlreiche EQ spezifische Inhalte wie beispielsweise die Anzeige von Reichweite, Ladezustand und Energiefluss. EQ optimierte Navigation, Fahrprogramme, Ladestrom und Abfahrtszeit lassen sich ebenfalls über MBUX bedienen und einstellen. 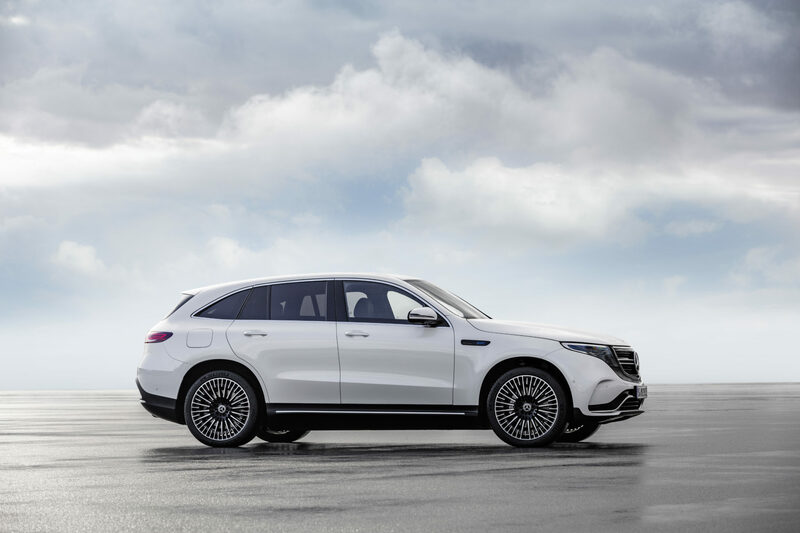 // Mercedes-Benz EQC 400 4MATIC, (BR N293) / designo diamond white bright / Exterior: AMG Line / Interior: AMG Line / The new Mercedes-Benz EQC – the first Mercedes-Benz under the product and technology brand EQ. With its seamless, clear design, the EQC is a pioneer for an avant-garde electric look with trailblazing design details and colour highlights typical of the brand both inside and out. 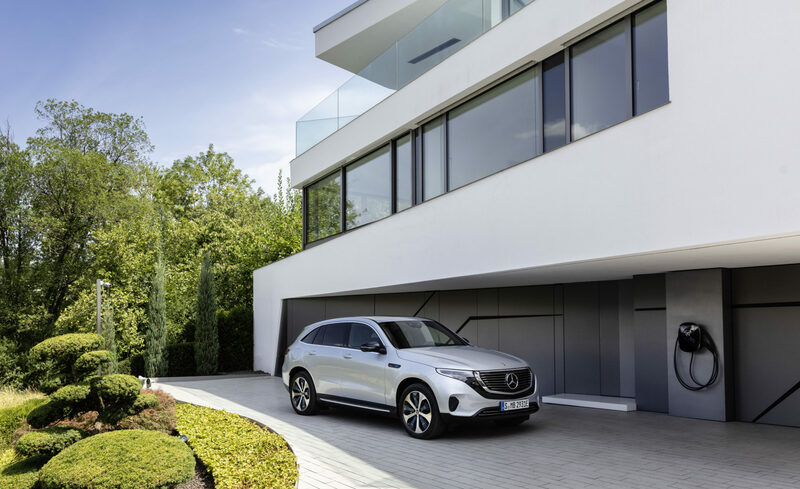 / The EQC features the innovative multimedia system MBUX – Mercedes-Benz User Experience – which has numerous EQ-specific functions such as the display of range, charge status and energy flow. 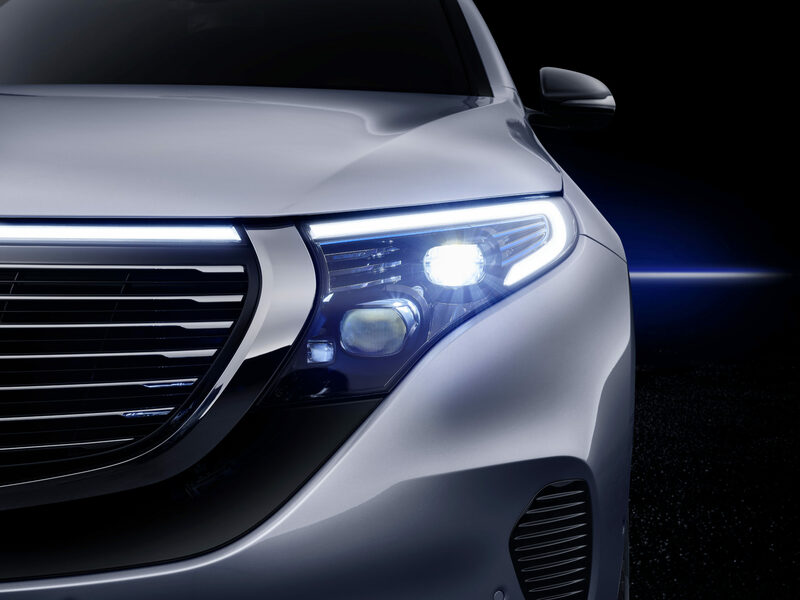 EQ-optimised navigation, driving modes, charging current and departure time can also be controlled and set via MBUX. 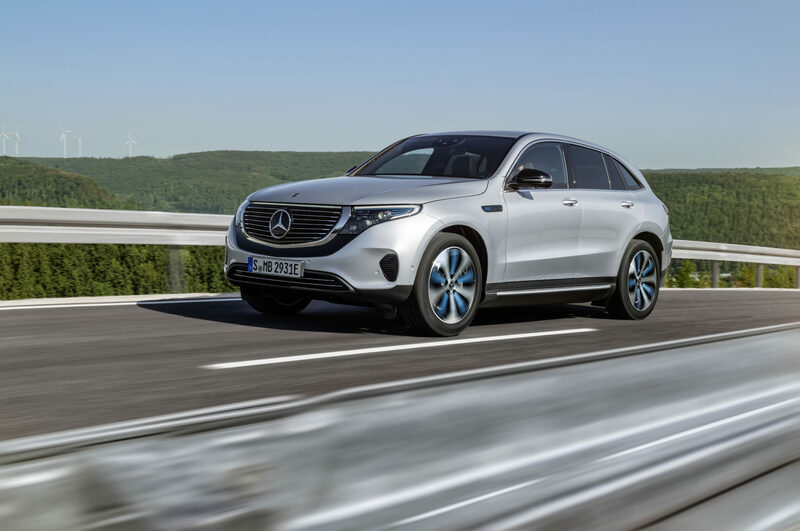 Mercedes-Benz EQC 400 4MATIC, (BR N293) / Hightechsilber / Interior: Electric Art, Der neue Mercedes-Benz EQC – der erste Mercedes-Benz der Produkt- und Technologiemarke EQ. Mit seinem nahtlosen klaren Design ist der EQC ein Vorreiter einer avantgardistischen Elektro-Ästhetik mit wegweisenden Designdetails und markentypischen Farbakzenten außen wie innen. / In Europa gibt es weit über 200 verschiedene Betreiber von Ladestationen an öffentlichen Plätzen. 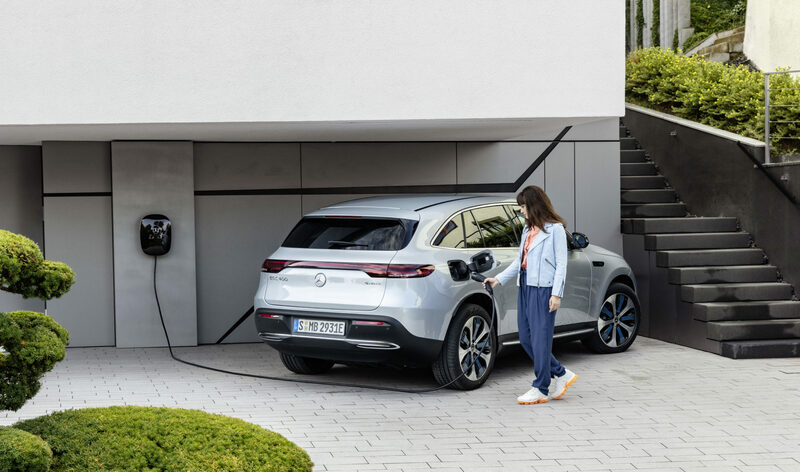 Mercedes me Charge ermöglicht auch den Zugang zu den Schnellladestationen des paneuropäischen Schnellladenetzes von IONITY. Die kurzen Ladezeiten sorgen insbesondere bei Langstrecken für eine angenehme Reise. 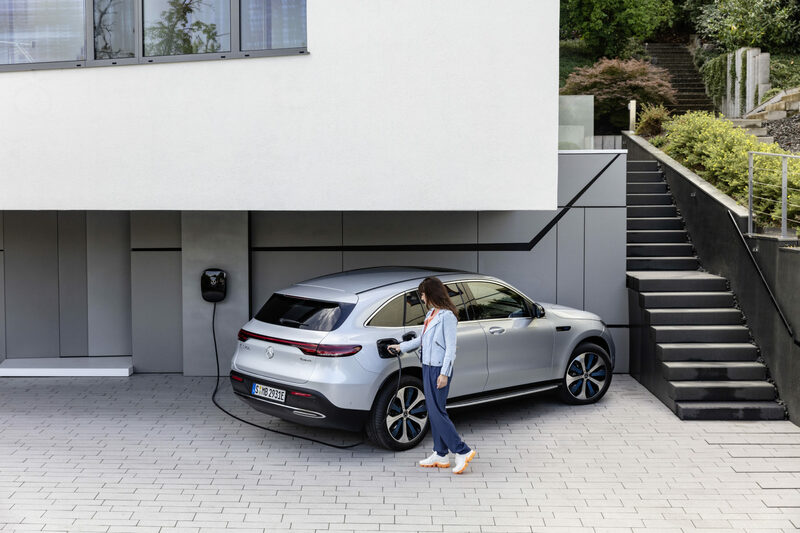 Entlang der Hauptverkehrsachsen in Europa wird IONITY bis 2020 insgesamt rund 400 Schnellladestationen errichten und betreiben. 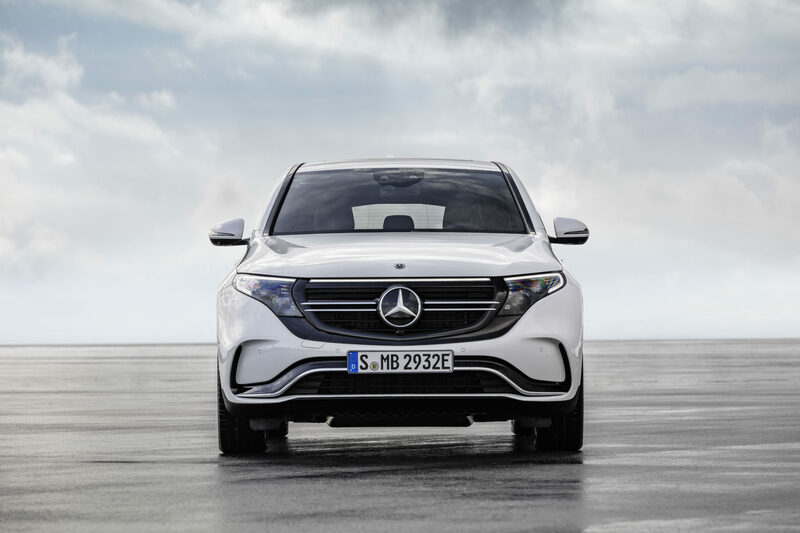 // Mercedes-Benz EQC 400 4MATIC, (BR N293) / hightech silver / Interior: Electric Art / The new Mercedes-Benz EQC – the first Mercedes-Benz under the product and technology brand EQ. With its seamless, clear design, the EQC is a pioneer for an avant-garde electric look with trailblazing design details and colour highlights typical of the brand both inside and out. / There are well over 200 operators of charging stations in public places in Europe. 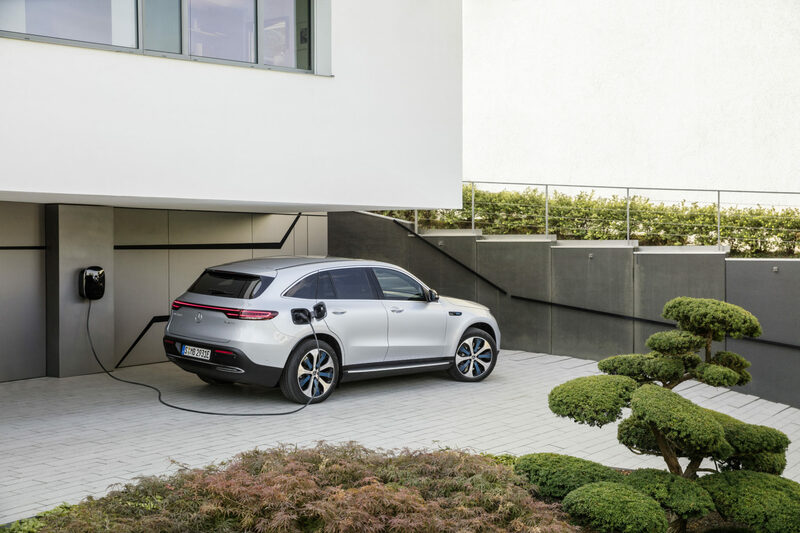 Mercedes me Charge also allows access to the quick-charging stations of the pan-European network IONITY. Especially over long distances, the short charging times make for a pleasant journey. 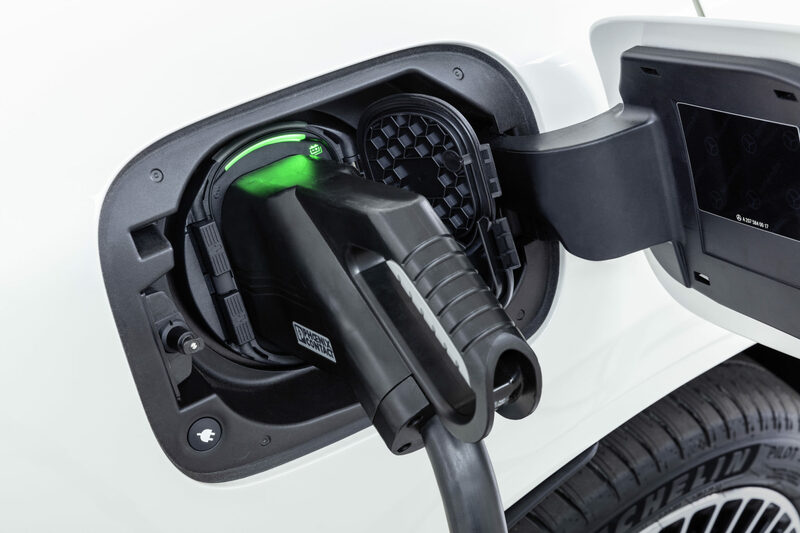 By 2020 IONITY will construct and operate around 400 quick stations along the main traffic arteries in Europe. Mercedes-Benz EQC 400 4MATIC, (BR N293) / Hightechsilber / Interior: Electric Art / Der neue Mercedes-Benz EQC – der erste Mercedes-Benz der Produkt- und Technologiemarke EQ. Mit seinem nahtlosen klaren Design ist der EQC ein Vorreiter einer avantgardistischen Elektro-Ästhetik mit wegweisenden Designdetails und markentypischen Farbakzenten außen wie innen. 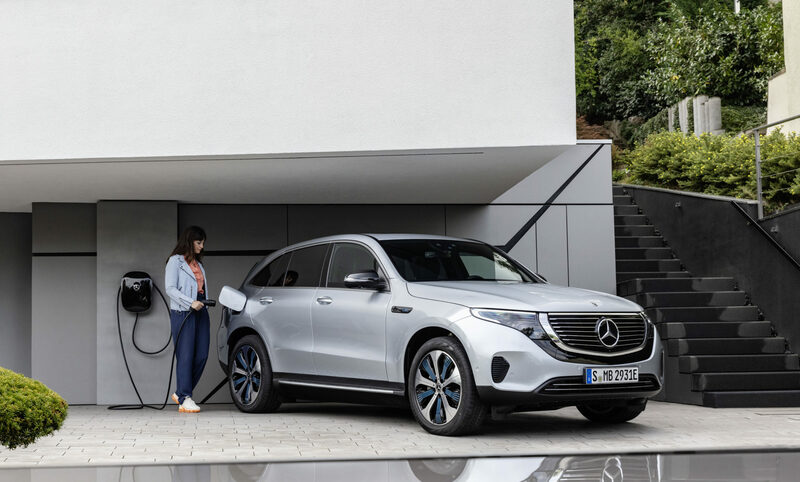 EQ bietet mit Mercedes me umfassende Services für die Elektromobilität von heute und morgen. Die intelligenten Services und Funktionen rund um den EQC reichen von Routenplanung über Vorklimatisierung und neue Assistenzfunktionen bis zu komfortablem Lade-Handling. 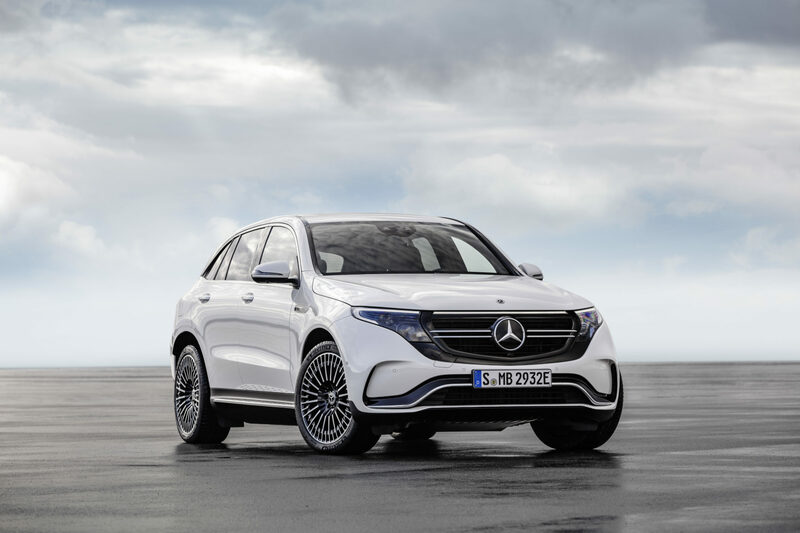 // Mercedes-Benz EQC 400 4MATIC, (BR N293) / hightech silver / Interior: Electric Art / The new Mercedes-Benz EQC – the first Mercedes-Benz under the product and technology brand EQ. With its seamless, clear design, the EQC is a pioneer for an avant-garde electric look with trailblazing design details and colour highlights typical of the brand both inside and out. 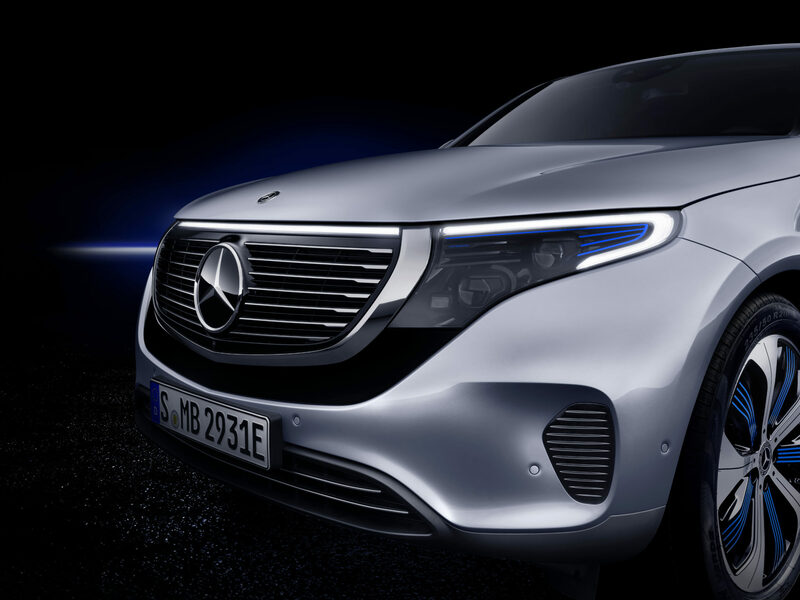 / EQ with Mercedes me provides comprehensive services for the electromobility of today and tomorrow. 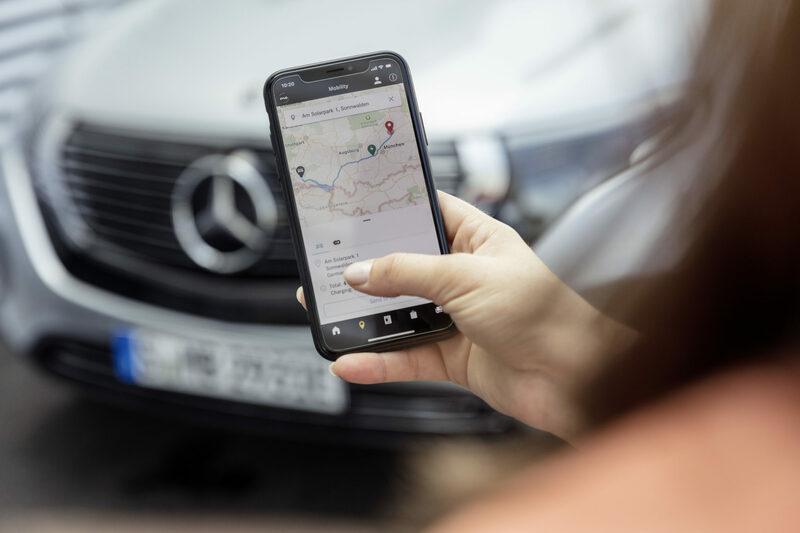 The intelligent services and functions for the EQC extend from route planning to pre-entry climate control, new assistance functions and convenient charging management.